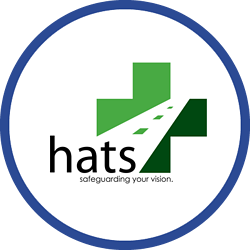 Healthcare and Transport Services (HATS Group) provides specialised transport services to the NHS and local authorities within Greater London and the adjacent counties. It currently serves a range of customers, including the school, social care and healthcare sectors. HATS Group operates its own fleet of specialised transport, from minibuses to wheelchair accessible vehicles. Due to changing client demands and a clause within new contracts, the company required a solution that would enable management to track the vehicles taxiing children and patients to and from their destinations. HATS Group runs a multitude of contracts, primarily home-to-school runs and dialysis patient transfers. Both types of journeys require the business to log and report the pick-up and drop-off times, as well as monitoring journey durations in order to meet contractual stipulations. Additionally, the company also needed a way to track the use of employees’ privately owned vehicles which were being used within the business. In 2014, HATS Group felt it was necessary to turn to the vehicle tracking market to find an appropriate solution that would address its business challenges and help win new contracts. Following detailed market analysis, HATS Group implemented Crystal Ball’s FleetTracker and MobileTrack Pro solutions mid last year. With FleetTracker the business now has full real-time visibility of all vehicle locations. The company can now also accurately track privately owned vehicles through MobileTrack Pro which sits on employees’ smartphones – thereby avoiding the unnecessary inconvenience of installing hardwired units to vehicles that the company does not own. With both solutions the business now has access to a full reporting suite allowing them to create detailed journey and snail-trail reports based on the drivers’ daily journeys. With Crystal Ball’s vehicle and mobile tracking solutions in place, the business can now effectively meet client requirements and win more contracts going forward. Furthermore, HATS Group has also noticed a decrease in complaint rates because drivers are now able to identify and avoid problem routes, and can better ensure that children and patients are not in the vehicles for any longer than contractually agreed. “We have noticed huge benefits since having Crystal Ball. It makes us more transparent as a business and allows us to present KPI reports to potential clients with hard evidence to support them."